The interest (and price) of all things Panerai continues to amaze me. 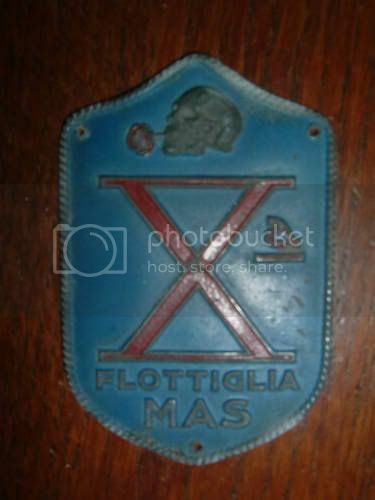 This shield of the badge of X Fottiglia Mas, the Italian combat swimmers who wore 3646 Panerais in WW2, just sold for over £650 on Italian ebay. It was described as an original. I was watching it and thought it would sell for a good price so instead bought a reproduction for £15. After some careful aging (and horse manure) it will acquire an attractive patina and make a good accessory. The Decima MAS Gibraltar operations are the subject of the 1958 British film The Silent Enemy, starring Laurence Harvey as Buster Crabb. The story of the X Mas raid on Alexandria was told in the 1962 British film The Valiant , starring - surprise, surprise - John Mills. Last edited by StampeSV4; 15-05-2010 at 18:19. Interesting stuff. 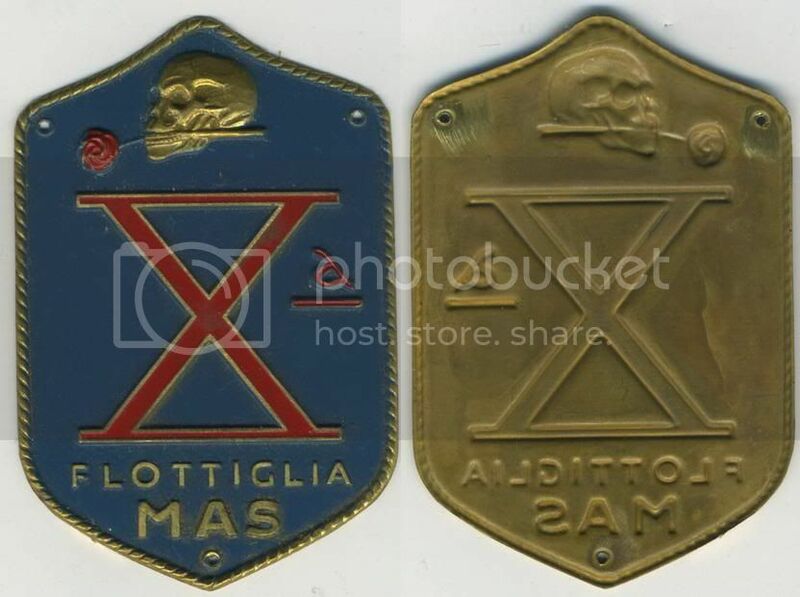 As you say, the Decima / Xa Flottiglia MAS has been the subject of a couple of films, and I must admit that they've probably coloured my view somewhat. 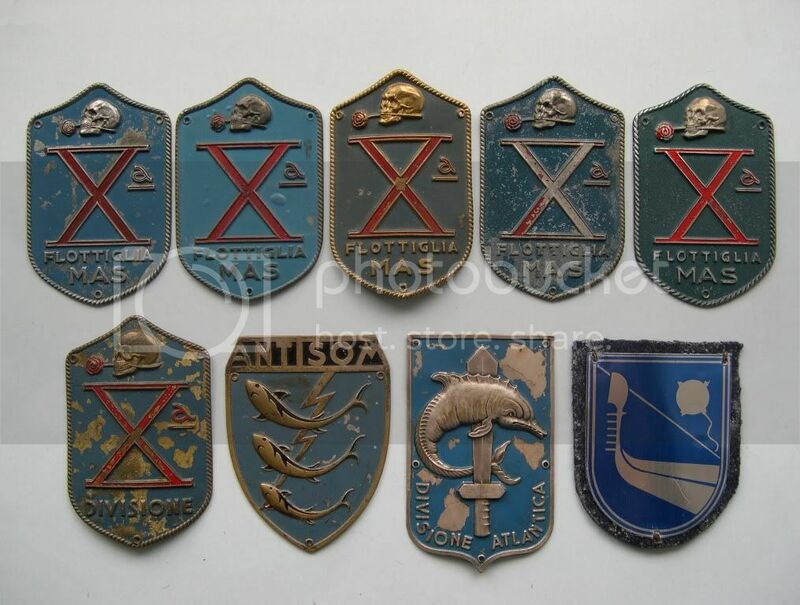 I've never really liked any of the memorabilia associated with the Axis powers and probably never will. Sorry. 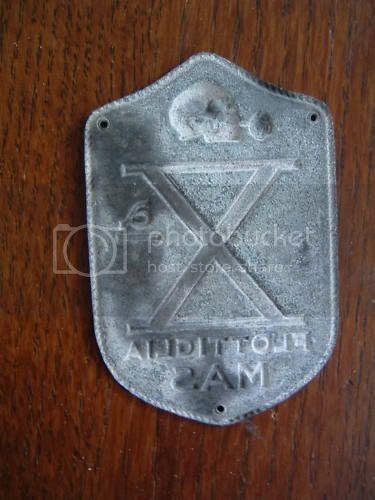 Having said that, the ANTISOM badge is rather good. 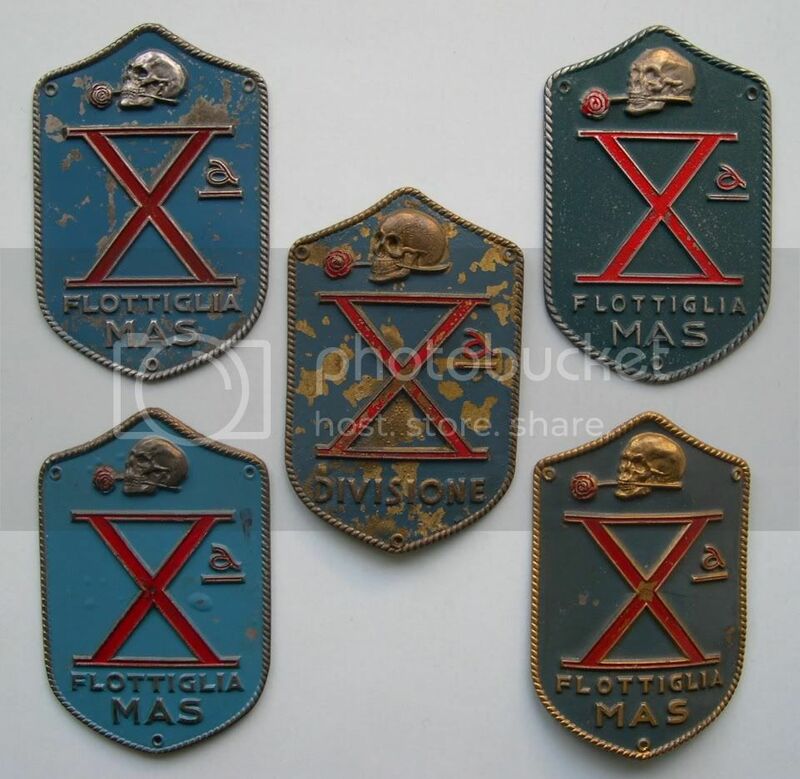 The anti-mine specialist badge is interesting too. Venetian gondolas? Well, the ultimate ant-magnetic boat? Last edited by Noodlefish; 16-05-2010 at 13:24.